If you haven't read it already I suggest you check out the light introduction to HubPage Referrals. It's a quick read and outlines the basics. 1) If someone signs up for a HubPages account via your referral link, you get 10% of their pageviews for the life of their hubs. That doesn't take away from their own pageviews, HubPages Inc graciously give up 10% of their share to you for spreading the word and getting others to join up. 2) You can refer other peoples Hubs and get a cut of the pageviews. 9% or 12% depending on whether there's an signup referrer already involved and getting their 10% cut of the pageviews. This is taken again, from HubPages Inc's share of the pageviews. So it's a win/win situation when you promote or link to a fellow Hub Authors page. Their article gets exposure and you get a reward for sending them traffic. These splits apply only to HubPages and User Profile pages. On all other pages, such as a referral to a Tag page or the HubPages home page, you’ll receive 30% on a traffic referral, with HubPages getting the rest. Every HubPages account has its own default referral tracker – referred to as a Unique Tracker. 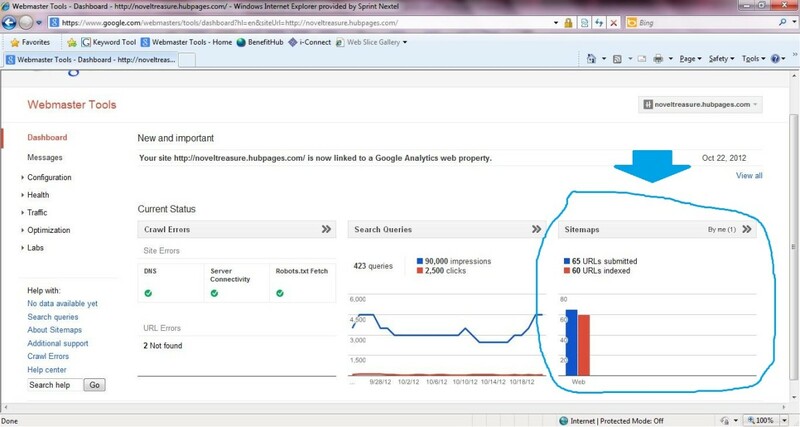 You can create additional referral trackers as you organize your link campaigns. 2. Use the Unique Tracker to link to someone’s Hub. Before you can link, you must be signed in to HubPages. Then, when you’re at the Hub you want to link to, look at the bottom of the page (or click the green share it button). There will be two boxes marked “link to this page” and “email this page”. You can click on these links and choose the Unique Tracker you want to insert in the email, URL or HTML code we will generate for you. From that point, you can either send the mail, or cut and paste the URL link or HTML code and place it wherever you’d like. 3. The Traffic Referrals is guaranteed to be yours for 120 minutes. If someone clicks on your link to a specific Hub, you are entitled to the traffic referral impressions for 120 minutes. We set this limit because there may be multiple Hubbers referring people to a particular Hub. No other tracker can replace yours during that 120 minute period. This is called the ‘first dibs’ rule. On every hub, yours and others, there is a bit down near the bottom that says "Share It". If you click on that and then click on "Link To Page" you get given a nifty little feature that makes it easy for anyone to get the code you need to refer others. There is a better option, and that is creating your own unique referral ID. You can create up to twenty independent trackers, each with a unique name and descriptions, to help you see which linking strategies are working best for you. Get clever with the way you use them. Don't make it look like it's you that's referring the page. On one hand I think that the default tracker looks far too random. I prefer to use a generic term for the tracker ID. Some people can be a bit wary of signing up to sites through affiliate links. So disguising them as something subtle and inoffensive can improve your sign up ratio. Personally I have no qualms with signing up for a legitimate offer through someone elses referral link. They were after all the person who brought it to my attention and they deserve a reward. This is where you set up your URL Trackers. Please note: A referral tracker is unique. Once claimed it is yours and yours alone. No one else can set up a tracker with the same name. And you won't be able to set up a tracker that is already taken. The system will immediately notify you if the one you're trying to claim is already taken. 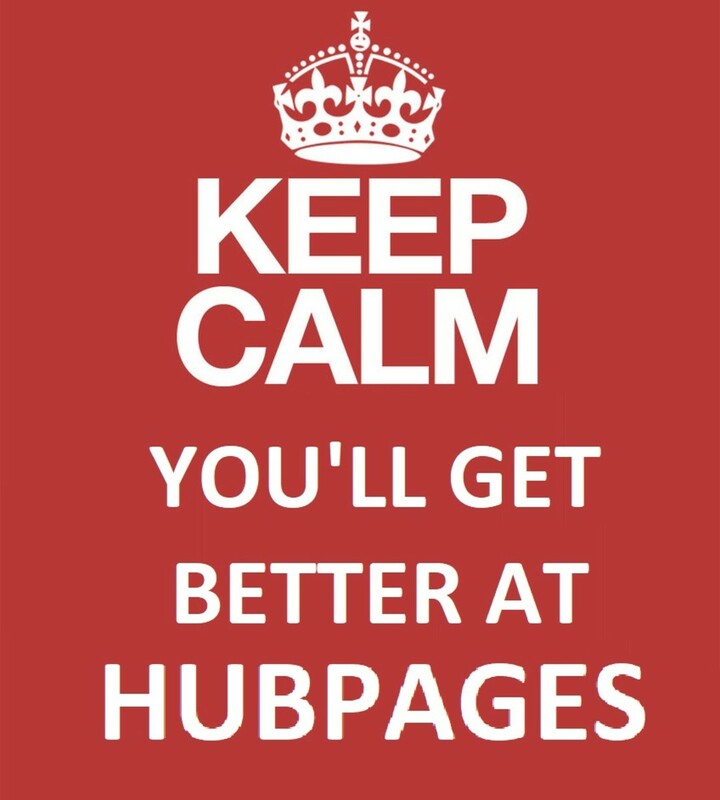 If you're the first one to introduce someone to HubPages the information is stored for 30 days. So anytime within the next 30 days if they go from being just a visitor to becoming an Author, you get credited with the referral. And of course all the benefits that come with it. Now if someone else has already claimed that "prize" and the visitor comes back via your URL tracker they're all yours for 2 hours. So 9% to 12% of page impressions will carry your ads. It also means that within that 2 hour time frame if a person signs up to HubPages then you land the 10% of page impressions for the life of that new Authors soon to be published Hubs. Signup and hub statistics for URL Trackers are processed every 20 minutes or so. They are not be updated immediately when the account is created. Also, if the user has clicked on another link with a tracker in the previous 2 hours, the tracker in your link will be ignored. The page you link to within hubpages.com makes no difference as far as the tracking goes. You can link to almost anywhere on HubPages, you don't have to limit yourself to your own Hubs. When a visitor clicks on a link with a tracker in and they don't have a tracker already it is set so it will last for up to 30 days. The tracker stats on your user profile page are updated every 20 minutes. They won't show new sign ups or published hubs immediately. If you have multiple HubPages accounts, don't try and refer your new account from your old account. HubPages has the ability and will exercise their right to remove self-referrals. It should immediately resolve to the page you had inserted your tracker into, with the tracker disappearing. That computer, if it hadn't been cookied in the last 2 hours by another referral tracker, will be cookied with your referral tracker for 30 days (although it could get overwritten by another after 2 additional hours). Whenever you link to another hub. Whether it is yours or someone elses. Linking from one hub to another, use a tracker. The sooner you can get in and claim that cookie the better. I'm not registered at HubPages? Where do I sign up? Hungry for more information about how Tracking works? Sign up to HubPages and start earning today! Referral Trackers, What are they and how are they used to earn money? Very interesting information, I learned about using others hubs for impressions. I will start using this. Thank you. When I mouse over the FB generated link it does not do anything. After you've posted it and when you mouseover the link does it show your tracker URL? When I enter the tracker code in Facebook, it generates another link to the page with the main photo. The Facebook generated link does not appear to have the tracker code in it. Am I missing something? Should I leave my original link in the post? Thanks for all of the great advice here! Useful and voted up. I had no idea about the 2 hour time limit until I read this article. Good thing I aced my Marketing class. Hub Pages seems to require as much 'marketing' work as 'writing' work. 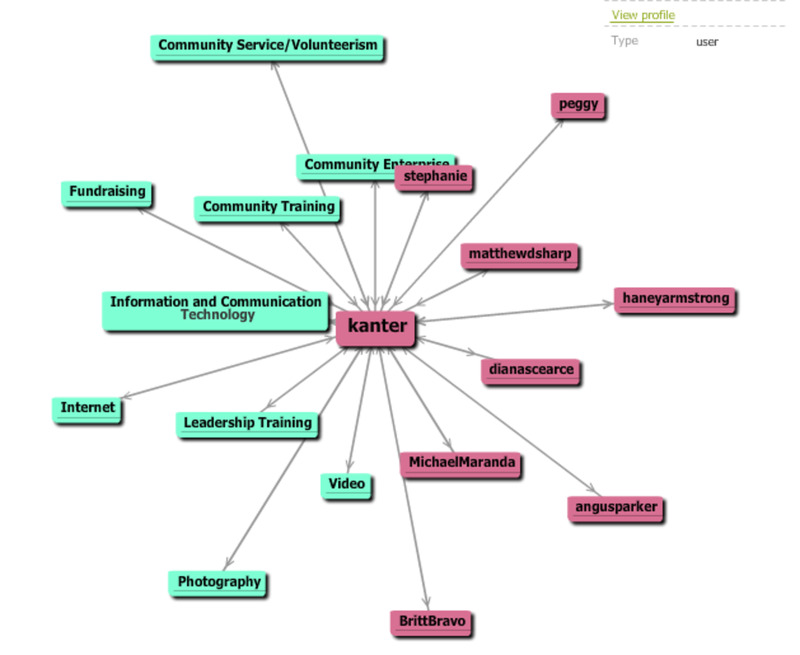 Great hub with a lot of useful information on trackers and referrals, which can be very confusing subjects. It takes a while to really get all this because some of the information is rather complicated. But you managed to explain things well. This will definitely help those who are confused about these topics especially the new hubbers who are still looking into this. Complicated stuff! Thanks for the explanation! Your 3 hubs on referral trackers have been soooo useful! Thank you for your help! Great information and lots of links. Discussion questions are really helpful. 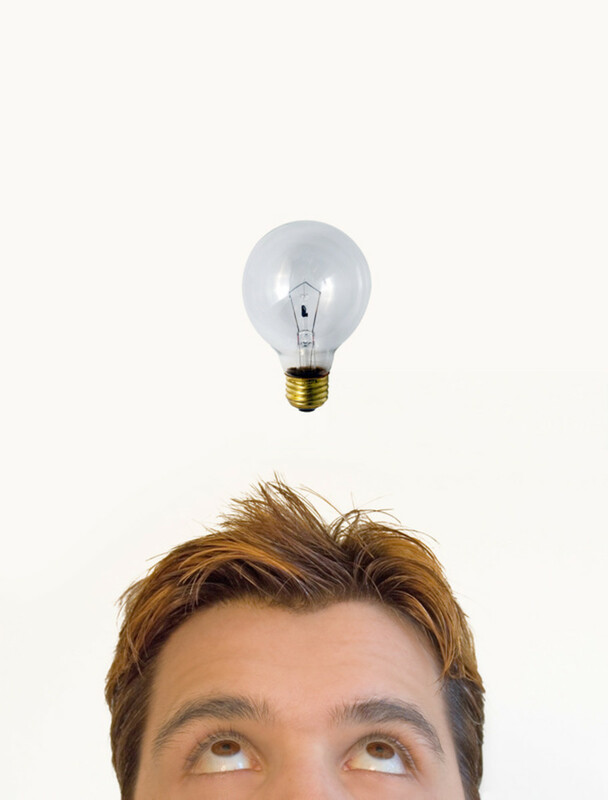 You have shared a great deal of good info and answered difficult questions well. Thanks. great! thanks for clearing things up for me! The tracker expires after 30 days. If they haven't signed up in that time I don't see the point of sending them the link again, it might come across as a bit pushy and rude. Assuming that the tracker expired and I resend another tracker to the same reader, would the tracker will be renewed? a) You are not notified, however the new hubber's name will appear in your referral stats regardless of whether or not they have published a hub. Keep in mind that most people who sign up do not end up publishing hubs. b) Resend another tracker to who? a) If someone signup using my tracker, would I be notified after they signup or need to wait until the new Hubber publish their first hub? b) Can I resend another tracker after 30 days to renew the old tracker? a) It doesn't matter how many people sign up under the one tracker, you'll see who they are. b) You won't see the amount of pageviews for each individual hubber but you will see the combined pageviews (traffic to hubs) for all the hubbers under that specific tracker (though if only one person signs up under that tracker it goes without saying that the pageviews would be from that one hubber). a) If more than one people signed up using one tracker, can I know who are the Hubber signing up? Thank you so much for making this easy to understand for non techy people. have to share this as i think a lot of people are possibly unaware. 7 years ago from Between Montréal and the Laurentians. Québec, Canada. Thank you so much for all of this information. I think that now I can finally understand how this works. I gladly recommend this interesting and helpful hub on tracking and its ramifications to newbies and to all who have already forgotten the tracking technology in the quagmire of forgetfulness. Laurels to darkside for a job well done. Is it possible to extract the HTML code of a certain banner so it could be placed in a hub or blog? How is it done? Thanking you in advance. I am really POed that Hubpages suddenly cut out ClickBank Sales. There may be a lot of BS there, but not the one I was proporting. Coming back to Hubpages after a long break. Had forgotten how to use the Trackers. Thanx a lot for helping me out! I finally grasped this whole tracking thing in just 5 lines. thanks mate, very useful information here! This is very clear and useful. Thanks again for sharing. this is wonderful useful information. thanks for sharing. Saving this article. Finally something I understand about the whole tracking thing. Thanks! This could prove very useful. Thanks for the explanation. Wow! thx for making things so visibly clear for the average person. Great hub. Finally, I have got it! Thanks. Great information. I use my tracker when promoting other peoples content that I like. This helps us both out and everyone wins. You have many comments in your hubs. How do you receive so many? Can you please write a hub about the techniques you use to get more comments? Azure, it's all done on the same tracker. And it's a concept that not many can pick up on the first pass. You will need to read it a few times before it starts to dawn on you. Once you've got it though, you'll see just how powerful it is. Thank you so very much for the clear-cut explanations. For the past 9 months I have been trying to figure this out. By, George...."I think she's got it!" OK, so I haven't really used the referrals trackers because I found them a bit confusing. I am still a bit confused! The main confusion is when the 120 minutes applies and when the 30 days applies - is this on the same tracker URL? So someone might click it and if they have already been to hubpages you get 2 hours but if they haven't and they sign up you get 30 days? I'm also a bit confuse3d about the 2 hours - is it 2 hours from when you create that link or when someone clicks on it??! Or is the 2 hours just for individual hubs and the 30 days for other pages? Maybe I am just being dense but it all seems a bit confusing still! Send HP HQ an email (https://hubpages.com/contact_us/) and let them know. You may also have to get your referrals to also contact them. I'm not sure. But discuss it with an HP staff member. And let us know of the outcome. Thank you, I just started out with HP, and it is sure an incentive, one more reason to like the site. This is 100% helpful. Thank you so much for doing such a great job explaining this. I will now refer and link! You're welcome darski. It's a pleasure to grab and grasp the HubPages concepts, rules and procedures and make them more understandable for... well me first of all. And then once I've understood it I feel confident enough to share it with everyone else. The tracking stuff is very difficult though. But once you get the hang of it it is very useful and a great way to make extra money. Jhangora, if you want the benefits that only a referral tracker can bring, then yes, you need to add your tracker to those links. And I wouldn't go overboard with the suggest links feature. In fact, I never use it. If I'm referring to another hub it's because its mine or because I already knew of the hubs existence. Having read and enjoyed it or the reputation of the hubber impressing me... so if I knew that they covered that topic too and it was beneficial to my readers, I'd find the hub myself. I use the suggest links feature to link to other hubs, would I have to add my tracker to those links. Thank you. I read the tidbit on the Hubpages account section, but this explanation was much clearer. For the first 120 minutes your cookie can NOT be overwritten. That means if they click on someone elses tracker link straight after yours, then it (the other) won't work. I don't understand the 120 minute rule. If you link, then someone links a minute after you, that means you don't get anything? Please make this make sense to me. Thanks for the info. It would have taken me a long time to figure it out myself. Very useful to have it explained in one place. I'll be publishing a couple more hubs about referrals and tracking. It's not hard once you get your head around. Though it does take a little while to understand and grasp how it all works. Unfortunately I don't have the time to individually critique anyones hubs, but the forum does have an Extreme Hub Makeover sub-forum where you can ask for tips and advice from plenty of well mannered and capable fellow hubbers. Daybreak, the Suggest Links tool is, as you probably already know, a recent addition. Personally I won't use it. At least not in the way that it's intended. If used regularly and without tracker referrals your HubKarma should increase. But there's no way I'm giving away my traffic for HubKarma. I see a lot of people misusing the Suggest Links suggestions, because not much thought on their part is going into choosing the exact right hub to complement their own hub. It's as if they're picking randomly from the suggestions given to them. So when I have links within my hubs they're either my own, or if it isn't I actually read the hub in full that I am linking to. Either way, it's got my referral tracker in it. In my case, referring a new hubber might be unlikely, but I am receptive to adding links to other hubs if I will get a percentage of adsense. It just seems odd that hubpages would implement a system where we have to use the "suggest links" tool, then go back and add the tracking id by editing the source code in order to get credit for the referral. That seems like a slow and confusing process. Is that the correct and only way to refer traffic to another hub and still get the referral percentage? when i add hubpager links through the link tool using the search feature... it doesn't appear that we get referral credit doing it that way... am i correct..? so we need to add our code, it doesn't happen automatically... right? Thank you so much darkside,this is very useful hub. Sandy, if the link you gave her to your profile had a tracker in it, it should work. If you didn't, then its unlikely that it will credit you. It could take a few hours or even a day before it turns up. If it doesn't then I guess you could always contact HP HQ and let them know, with a link to her profile. Perhaps have her email HP HQ to let them know that she's your friend. Not sure if it'll work. Let me know if it does. I feel bad asking yet another question...after answering them for 2 years...but...I had a friend sign up, I sent her the link to my profile, so she could see where I was writing...not knowing she'd be so excited that she signed up, THEN let me know...will that 'link' her to me? It hasn't shown up in the URL Tracker...after a couple of hours...? Was wondering if I should be including my own tracker when interlinking my hubs. Looks like I should be. Gonna take a bit more effort to do so, but I'm sure it will be worth it. Whenever you link to another hub. Whether it is yours or someone elses. 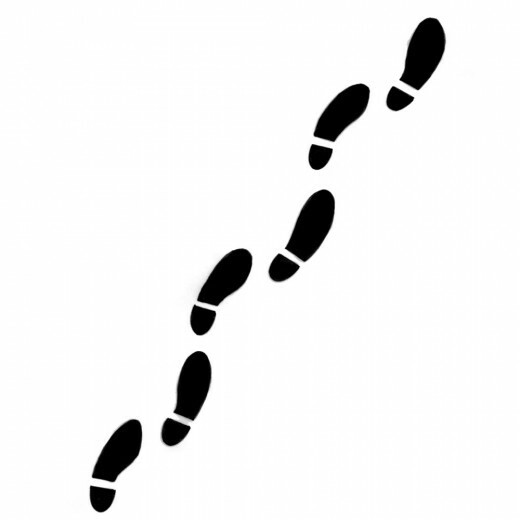 Linking from one hub to another, use a tracker. The sooner you can get in and claim that cookie the better." Now i got it, how tracking works; thanks lot. Definitely better than all the other stuff I've read on this before. Thanks. "...are processed every 20 minutes or so." Thanks, was wondering when it would show up. I have another question: :) So I get how you use the tracker for hubs (with the Share), but how do you create it for your profile or the main page to join? This is a lot of information to take in, but very, very helpful. So to refer this is say a blog post I can do this by getting the HTML and post it in the blog?? By George, I think I'm learning! Thanks!! It works fine on my own blog, but it wasn't happy when I tried to insert it into one of my hubs - perhaps the link was a bit long as the title of the hub I was linking to was quite long, oh, well, will figure it out sometime! Teresa, that's a nice tracker phrase! Goody! I got it! (with the help of your wonderful hub, and my going through anything else that I could, for about 40 minutes or so!) I've started with a general purpose unique referal, to get used to it, and can't believe "learnmoreabout" was not already taken. Thanks for all the helpful info in your hub. Have I been 2 years on Hubpages and only now do I understand this? Thanks so much, Darkside. Great Hub Dark side. This hub has answered many questions I have had in regards to using the trackers. I can certaily see why you are an elite member!! I voted this up and certaily marked it has useful!! Slap a http:// on the start of that and you'll be good to go. I invited my friend using this link.He signed in also.But sign ups under referal trackers is found to be still zero.So let me to know what I have to do. I wish to send an invitation to some friends to join hub pages.Can you give a single line reply from where will I get my referal code? HubPages is one of the few sites worth sticking with. Thank you, Darkside. I'm printing this out. It's very encouraging to see that you've stayed with this for three years and it works if one is persistent. Wow darkside. There's a lot of info here. I'm more of a writer than I am a computer person. lol. So, a lot of the very good tips for increasing page views, revenue, etc. take me some time to absorb. I'll definitely have to do some playing around, and probably come back to re-read, but this has given me a great start. Thanks! Very helpful Hub. I hadn't realized the granular control I had available to me near the bottom of each Hub, especially with the Sharing feature. Thanks for the hub it took me awhile but I am able to create my own trackers now. awesome info never knew it worked like this! Thanks for being a great teacher of new hubbers! You are the encyclopedia of the information that I need. I have bookmarked and printed. 5 Stars! I've had questions...but not anymore! Thanks Darkside!